Today's project is a vintage child's chifferobe. It was a little worse for wear, but I knew just what I wanted to do with it. The chifferobe has 4 drawers for storage and the other side has a wardrobe area for hanging clothes. The clothing rod was missing, so I purchased a dowel that I will add before taking it to the booth. I applied two coats of shellac to both the exterior and interior to seal the wood and prevent bleed through. 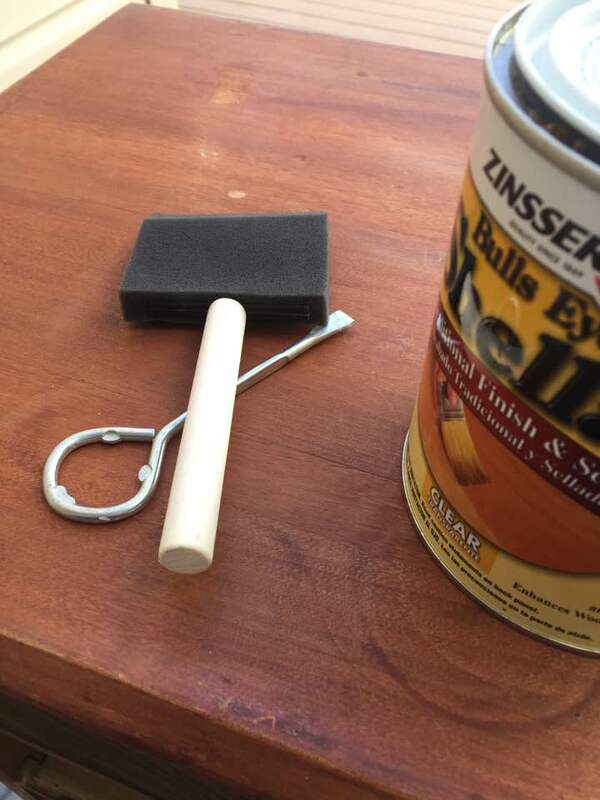 The shellac is easily applied with a sponge brush and dries super-quick. Apply shellac to prevent bleed through. I mixed equal parts of Antibes with Antoinette and added a splash of Old White. Equal parts Antibes and Antoinette with a splash of Old White. The result was a retro-vintage green. I applied two coats of paint to the exterior. Vintage green: Antibes, Antoinette and Old White. 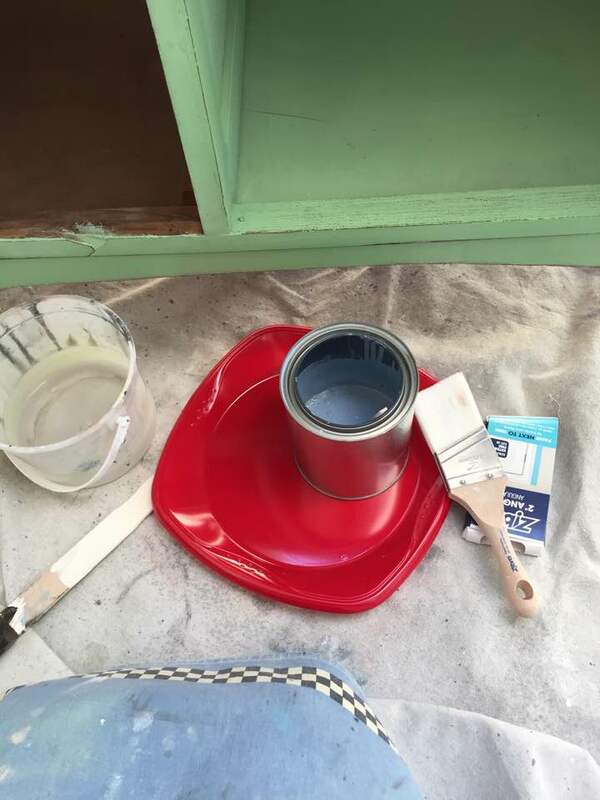 I had mixed enough paint to apply two coats of the green to the exterior. 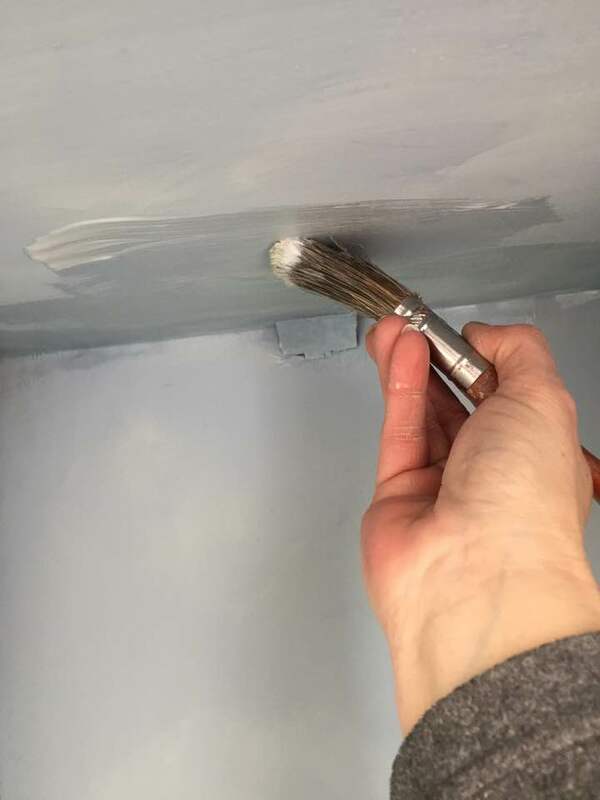 I had a tiny bit of paint left and used that on the bottom section of the interior of the wardrobe to create an area of grass. Green applied for a grassy area. I used Louis Blue next to create a sky. The interior was a tight space to work in with lots of corners, so I used an angled brush to speed up the process. 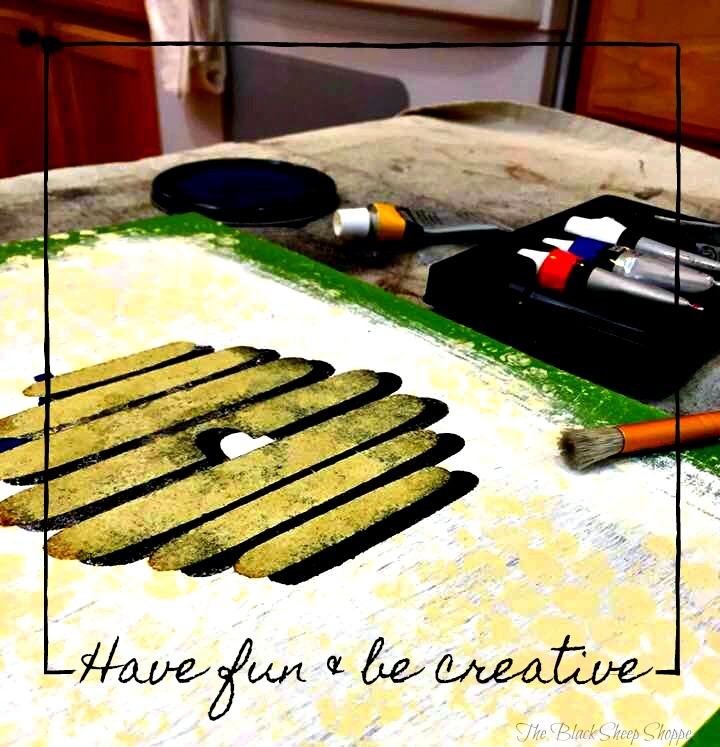 I layered some Old White over the blue to soften the color and give it a feeling of clouds. I used Annie Sloan soft clear wax on the exterior. But the interior was tight to work in, so I used Americana Decor Creme Wax on the inside as it is easier to brush on. The Creme Wax is a liquid and is very quick and easy to brush on and dries quickly. It doesn't give the same finish as Annie Sloan's brand, but I think it worked well in this section. 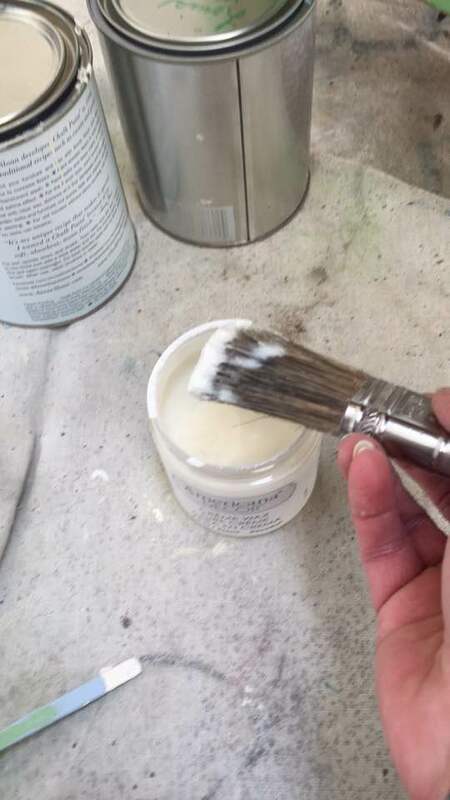 Brushing on a liquid wax. 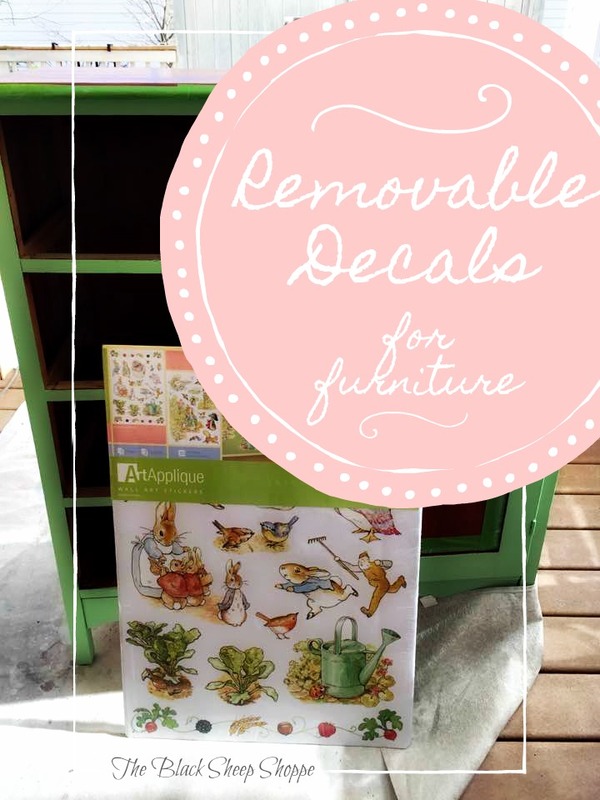 I ordered a set of Peter Rabbit wall decals from Amazon. The decals adhered well to the painted finish. At the same time they are easy enough to remove and re-position as needed making it very easy to work with. 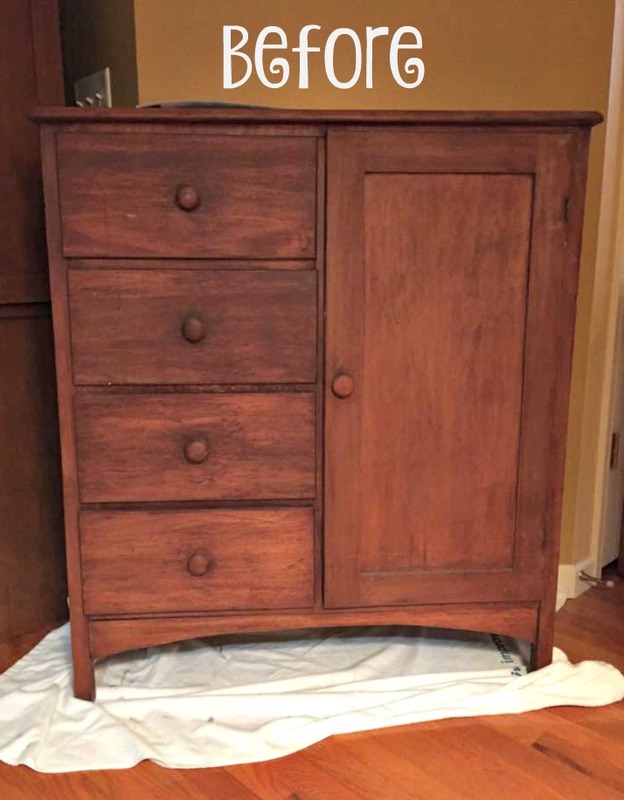 I painted the top, wardrobe front and handles in Old White for contrast. 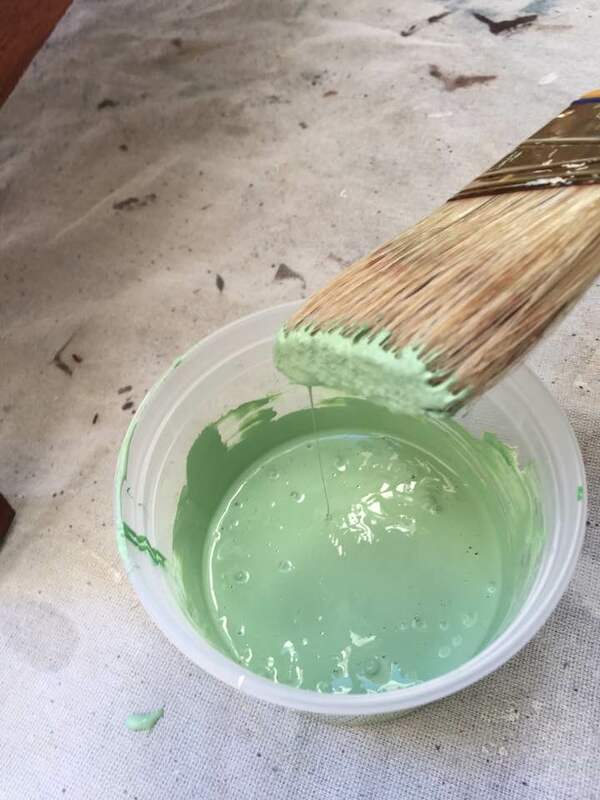 I applied a white glaze over the green to soften the color just a bit. 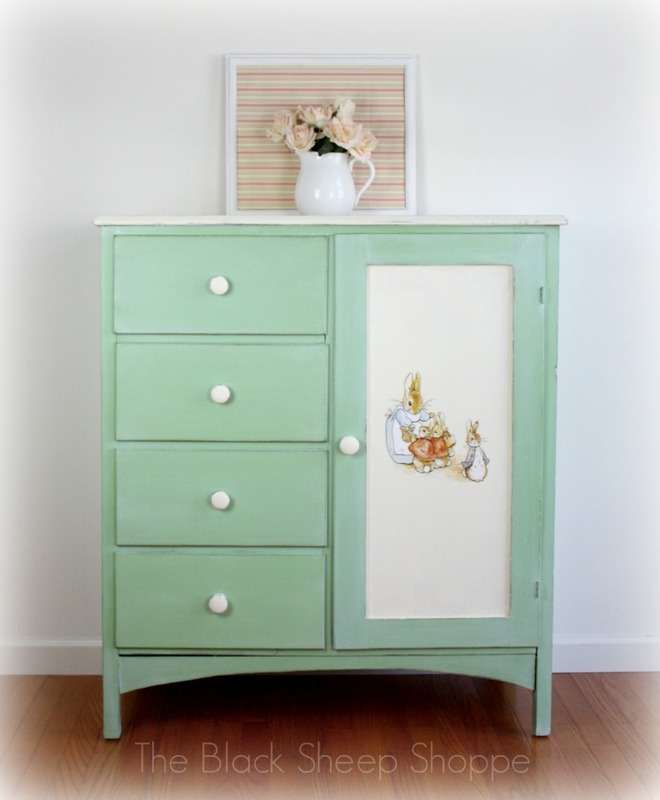 After: Vintage chifferobe with Peter Rabbit theme. 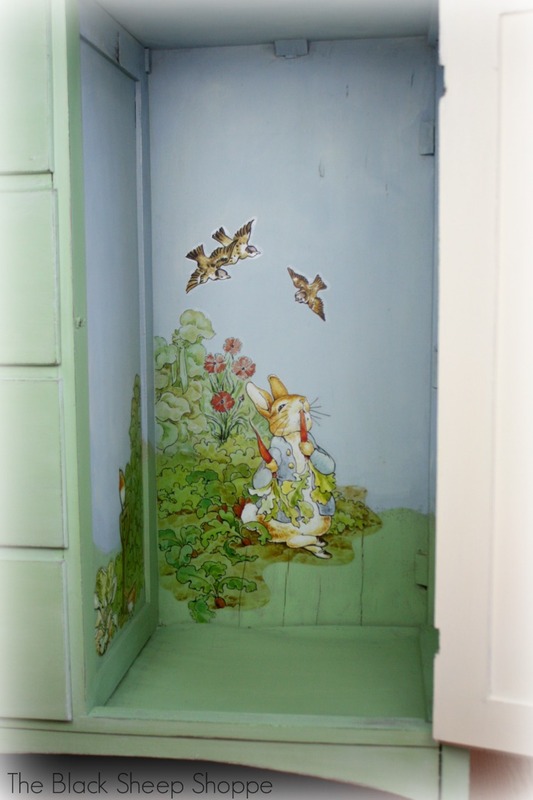 The wardrobe interior has the green grass, blue sky, and Peter Rabbit in the garden! I love this part and can just imagine a child's delight when opening the door. Heck, I'm a grown up and I keep opening the door to look at it. Yes I am easily entertained. Open the door and find Peter Rabbit in the garden! 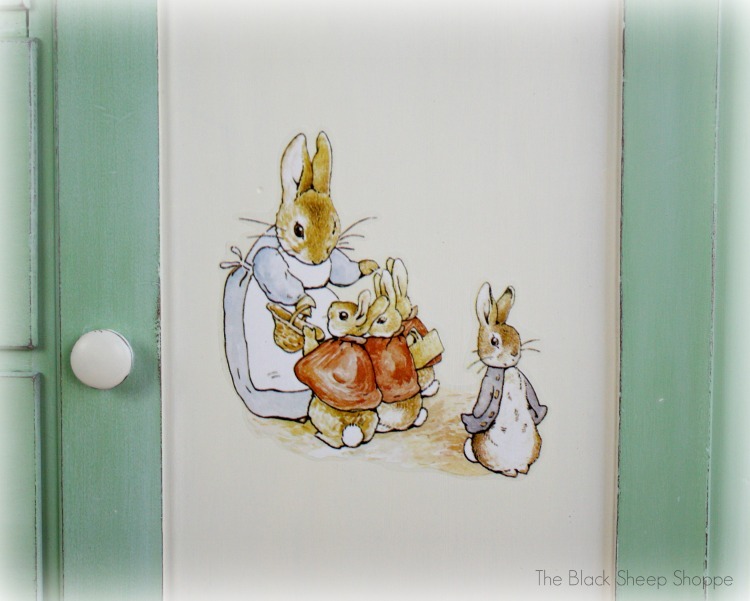 The exterior of the door features Peter Rabbit with his mother and sisters. Peter Rabbit with his mother and sisters. 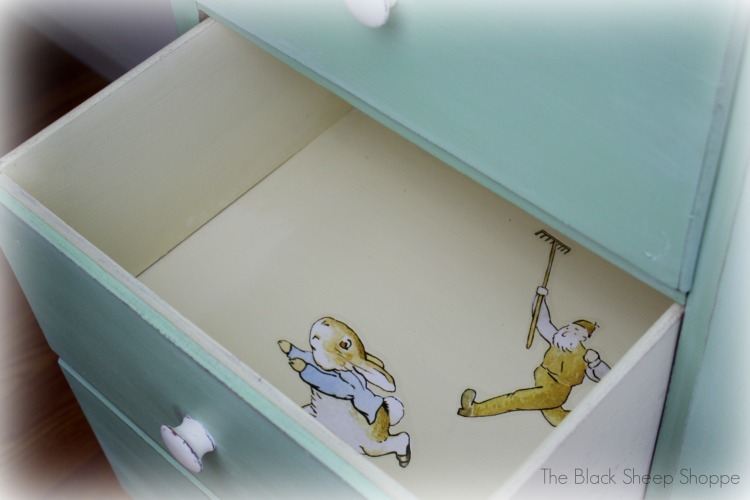 Each of the drawer interiors were painted in Cream and feature more surprises inside. 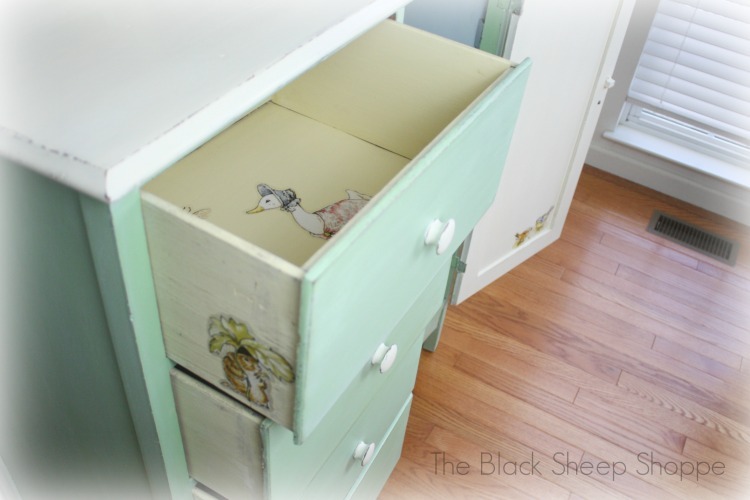 Each drawer features more surprises inside! Peter Rabbit and Mr. McGregor. Run, Peter, run! 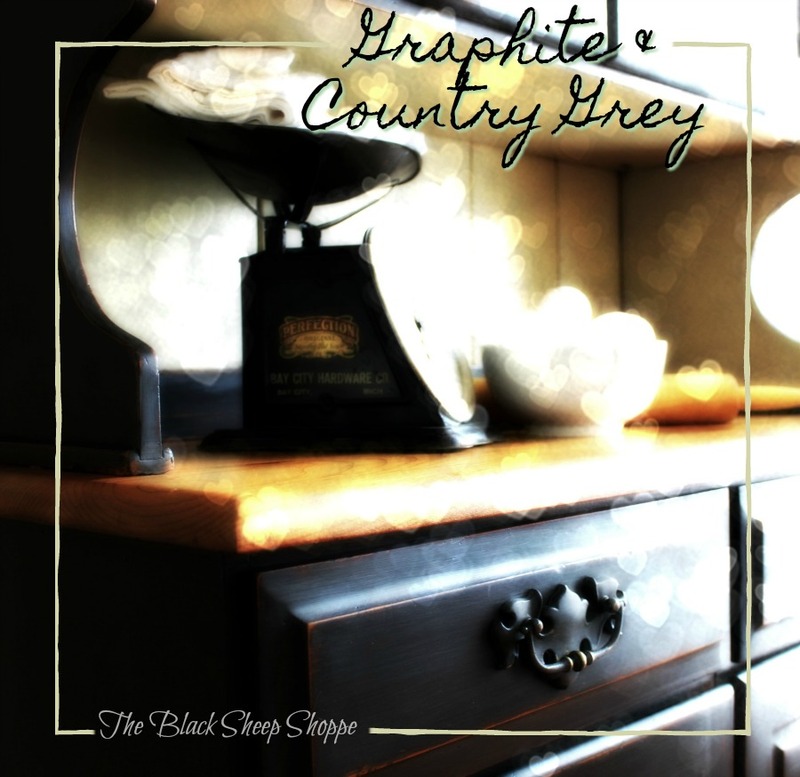 I hope you enjoyed this project, and I appreciate you stopping by the blog today! 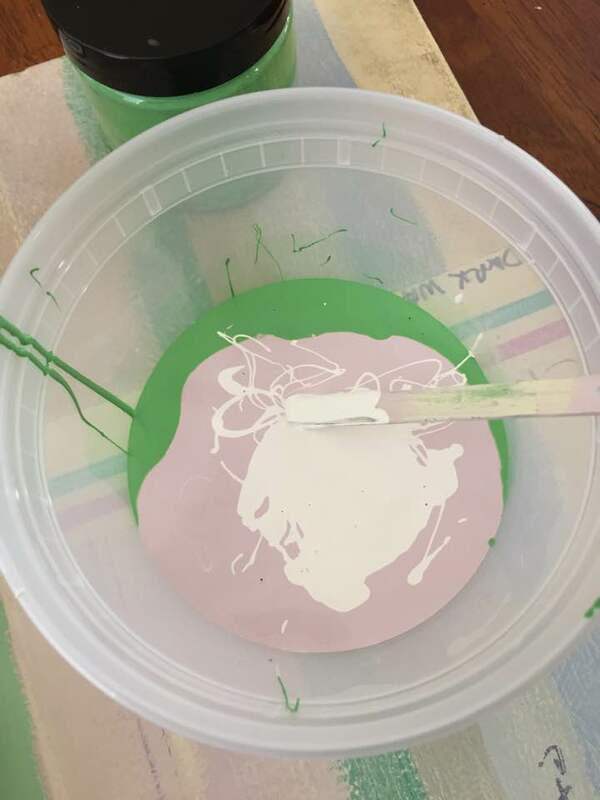 Annie Sloan Chalk Paint products: Antibes Green, Antoinette Pink. Old White, Cream, and soft clear wax.